Make delicious nut, seed & rice milks to replace dairy. 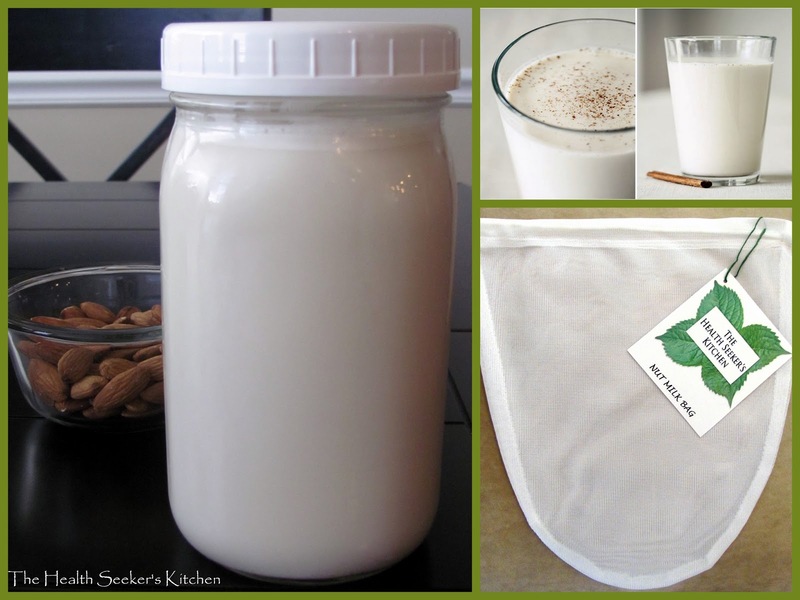 One gallon high quality nut milk bag by The Health Seeker's Kitchen. 11 1/2" long and 11" across top. Strong extra-fine mesh that filters nut milks and nut seeds to an extra creamy and smooth texture. Easy use and hang to dry. Includes recipe for Delicious Almond Milk. Cover almonds with water and soak overnight. Rinse almonds and place all ingredients in blender. Blend well. Use nut milk bag inside out. Place nut milk bag over bowl and pour milk into bag. Pull drawstring tight and squeeze milk out of bag into bowl. Use pulp to make cookies or breads. Wash bag with a drop of dish soap. Rinse well and hang to dry. Store in glass jar in refrigerator and use within 3 days. If using milk for soups leave out the dates and vanilla. Delicious! !